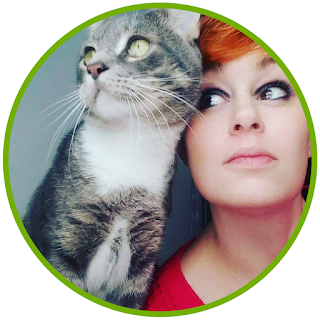 Welcome to those reading from The Pagan Blog Project! This was going to be my post last week, but as you know I was rather ill.
Of all the trees in United States, Great Britain, and Ireland, the oak is considered the king. Even today it is synonymous with strength, endurance, abundance, and steadfastness. The classical world regarded the oak as the "Tree of Life" as its roots run deep and its branches touch the sky. The word oak derives from the Anglo-Saxon word ac and the Irish word duar. Some scholars believe this is where the term druid arose since druids revered the oak, using the tree as a place of worship and a symbol of the God. When combined with the Indo-European root wid (to know), druid may actually literally translate to "knowledge of the oak." 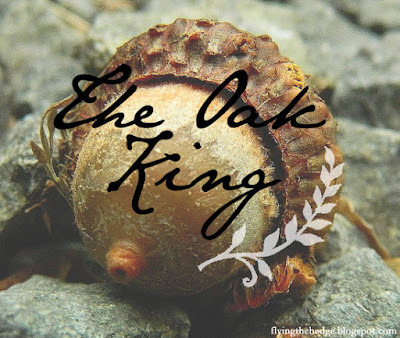 The oak tree litters classical mythologies, but the most notable in the pagan community is the story of the Oak and Holly King. This is probably one of my favorite stories in the pagan tradition as it corresponds directly with which tree dominates each season. The Oak King is often referred to as the "Lord of the Greenwood" or the "Green Man". He is the golden twin of the waxing year and rules from Beltane to Samhain. At Samhain he goes to battle with his twin, the Holly King and is slain, allowing darkness to cover the Earth. At Beltane, the Oak King slays the Holly King and spends the next 6 months ruling over Earth in light. The Oak King reveals himself as the Vegetation God, who must die each year so that life can be renewed. It is therefore not surprising that images of the Green Man carved in medieval churches show oak leaves growing out of his head. The oaks connection with sacrifices rings throughout many stories, including the story of Cuchullian and Curoi (the forerunner of the poem Sir Gawain and the Green Knight) and the Welsh story Math, son of Mathonwy. It's reputation as a tree of strength and endurance depends on its yearly death and rebirth, which is personified in these stories. In fact, its reputation is so strong King Charles II, when fleeing from the Roundheads after the battle of Worcester, took refuge in the branches of a great oak, knowing he would be protected. After his restoration to power on May 29, 1660, the day was henceforth celebrated as "Royal Oak Day." The oak continues to be one of the most prominent figures in paganism, not only as the representation of the dual aspect of the God, but also for its magical uses. I find oaks to be my second favorite tree, as they tell the best stories. To learn more about the magical and herbal uses of the oak, please refer to the Herbarium: Oak page.